As The Dead Daisies prepare for their tour of Australia with KISS, we sat down with Richard, Brian, Marco and John to get their thoughts on what will be an extremely memorable run! Its always great to tour Australia. 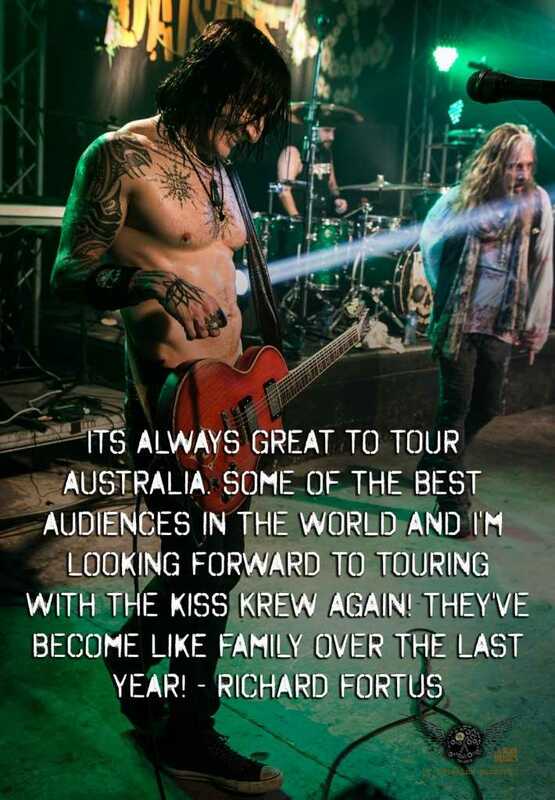 Some of the best audiences in the world and I’m also looking forward to touring with the KISS krew again! They’ve become like family over the last year! I get to play drums in a great rock band with my good friends, in an awesome country, opening for the mighty KISS; my first rock idols I ever got into and learned to play drums to! There’s nothing wrong with any of that! Being on the tour with KISS will enable us to play in front of big audiences and introduce to then our latest effort Revolución, cant wait! Well for me it’s been a while since I’ve toured Australia, and I’ve never been to Perth, or Auckland, New Zealand, so I’m excited to play, but excited to see new places and faces! !